LOW LOADER WITH TAILIFT !!! FINANCE AVAILABLE ** TAILIFT TAILIFT ** RARE EXAMPLE LOW LOADER ** **VIDEO AVAILABLE ON REQUEST** One Owner, Full Service History, Electric Windows, Electric Mirrors, CD Player, Remote Locking !! 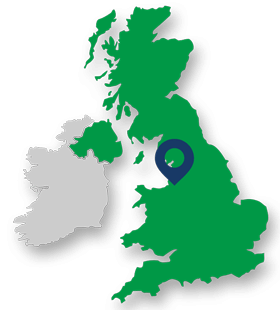 We Are Located Just 30 Seconds From Junction 10 Off The M56, Behind The Spire Hospital, Its Really Easy To Get To Us **WE CAN ALSO ARRANGE NATIONWIDE DELIVERY** Part Exchanges Of Cars And Vans Are Welcome And We Always Try Our Best With Any Valuation. We Were Established In 2005 And Are Proud To Have Been A Trading Standards Approved Van Dealer For Many Years, This Along With Our Online Reviews Will Give You Total Peace Of Mind And Confidence. JL Vans Are A Trusted Local Family Run Business With Over 25 Years Motor Trade Experience. We Open 8:30am to 6pm During The Week And 9am To 4pm On Saturdays, Our Office Is Closed Sunday, But You Can Call Our Mobile Number If You have Any Questions. RAC Warranties Are Available On All Our Vans And Start From Just £99 + VAT Including 1 Years RAC Roadside Cover !! Showroom Condition **BUY FROM THE UK’S BEST RATED VAN DEALER ON AUTOTRADER** READ ALL OUR 5 STAR REVIEWS ON AUTOTRADER AND THE JL VANS FACEBOOK PAGE **Call To View Stock Today!